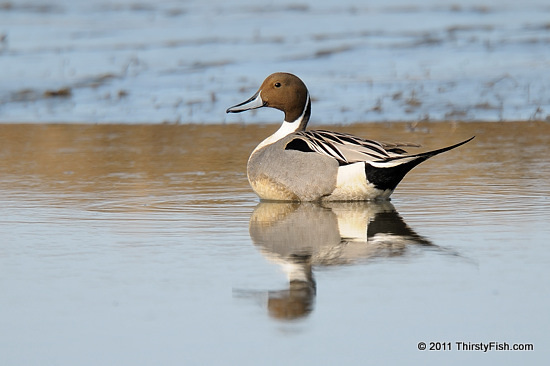 The Northern Pintail is a widely occurring, strongly migratory duck. The male pictured above has a distinct chocolate brown head and a long pointed tail. It is found throughout the Northern Hemisphere and winters south as far as the Equator. The same is true for humanity. If you take a look at a World Map, you will see that wherever natural resources are concentrated, there is greater conflict or tyranny. The natives are kept in perpetual conflict and suffering while a select few exploit these resources. Oil in the Middle East. Diamonds in Central and South Africa. Coltan in Congo... They call this "The Paradox of Plenty". Humanity is like a habitual gambler that gambles away her allocated tax money on the week that it is due. There are dire consequences. As Benjamin Franklin so eloquently put it: "Our new Constitution is now established, and has an appearance that promises permanency; but in this world nothing can be said to be certain, except death and taxes".